We are re-opening another order for hoodies. Order yours now. We have a pre-order window to get bulk pricing which is until February 15, 2019. Your hoodies will start shipping March 1, 2019. 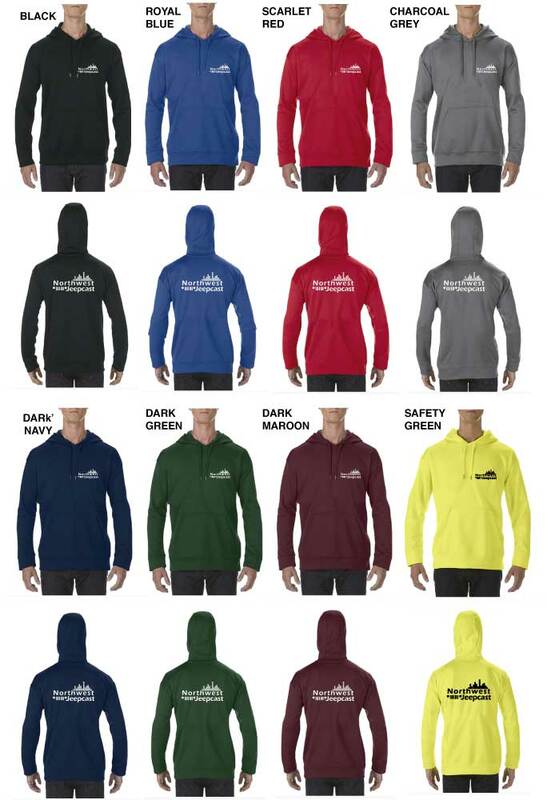 You can't beat these prices for quality hoodies. 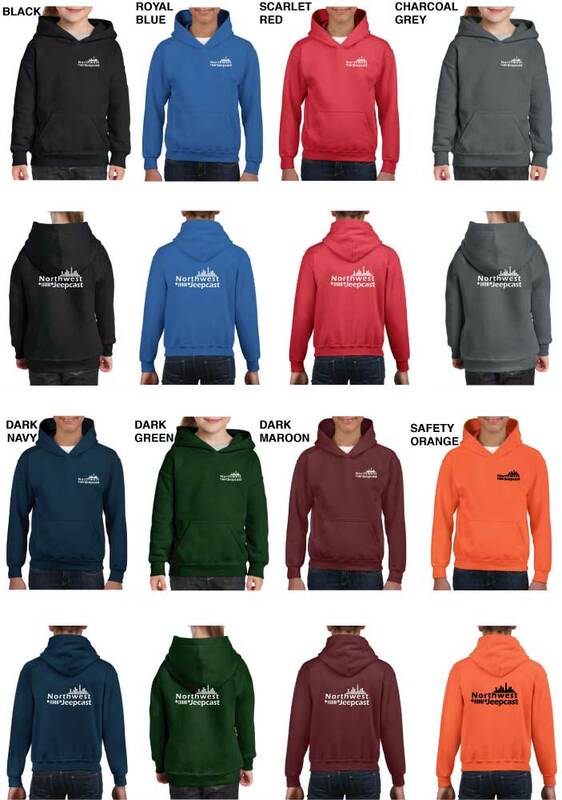 We are not making money off these hoodies and are passing the savings on to you. 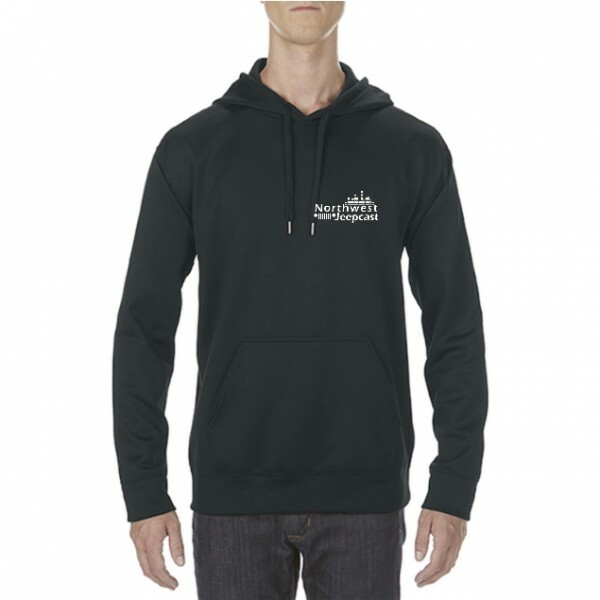 Visit the Northwest Jeepcast apparel partner to place your hoodie order. It looks like the site partners with Paypal for payment. Paypal lets you pay by credit card without creating a Paypal account if you so choose. "They’re so comfortable!!!!! I think it’s my new favorite sweatshirt!!!!" The kid-sized hoodies have the same feel as the more typical cotton hoodie. I did find, and have heard from listeners, that they do run a little on the large side. So for example, I typically wear XL tshirts and such, but I like my hoodies to fit a little loose. So I ordered a 2XL, but that was way too big, and the XL fit exactly how I like my hoodies. The kid-sized hoodies are true to size as the typical cotton hoodie. We have a wide range of available colors. The Safety Green will be our signature color! Yeah, that's bold! If you wanna match the Jeepcast crew, then choose Safety Green. Let's face it, you probably don't have a hoodie this color yet. Feel bold, be bold! A good description of the safety green we heard from a listener is "glowstick yellow", so for sure it is bright and you will be seen. Or feel free to get the color of your liking.